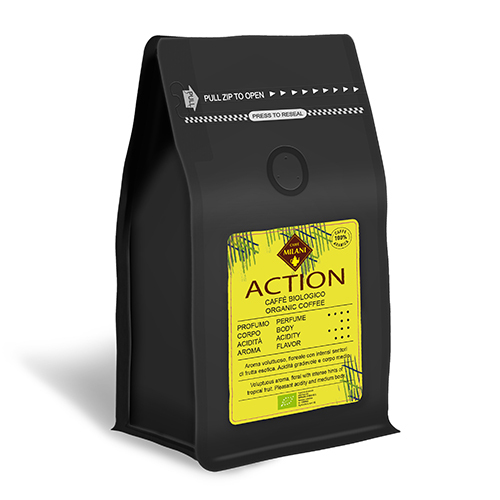 Coffee blend. 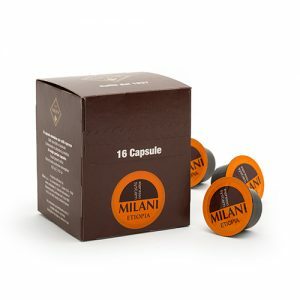 Case of 16 single-dose capsules. 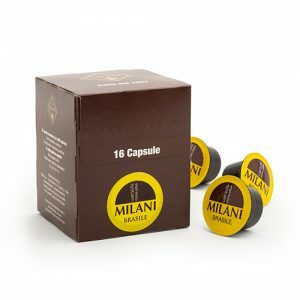 A pack of 100 single-dose and bidose capsules. 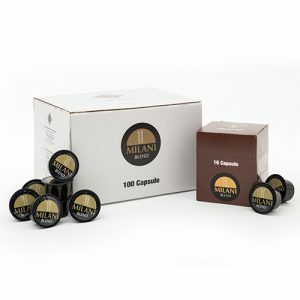 Decaffeinated coffee. 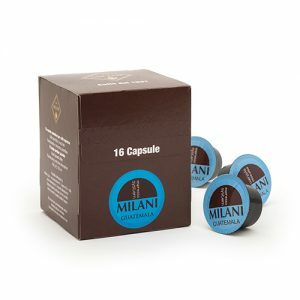 Case of 16 single-dose capsules. 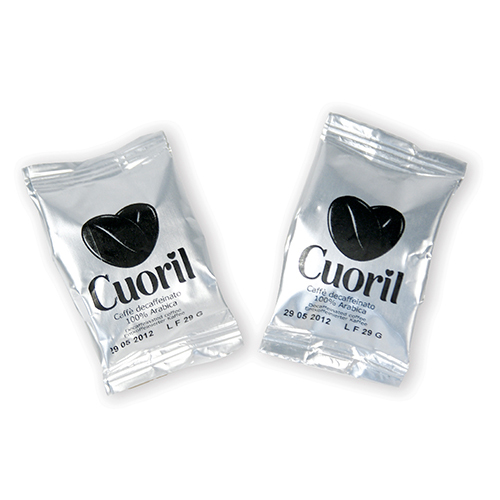 A pack of 100 single-dose capsules. 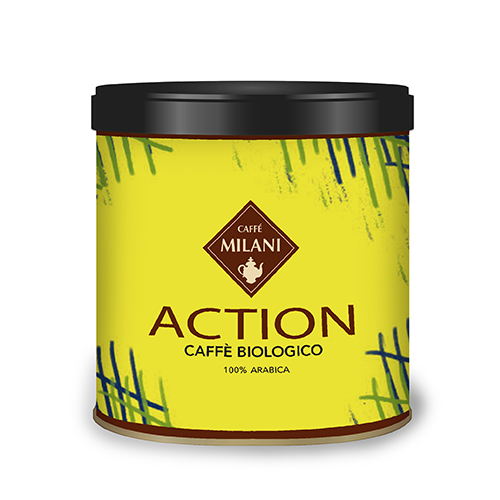 Blend of organic ground coffee. 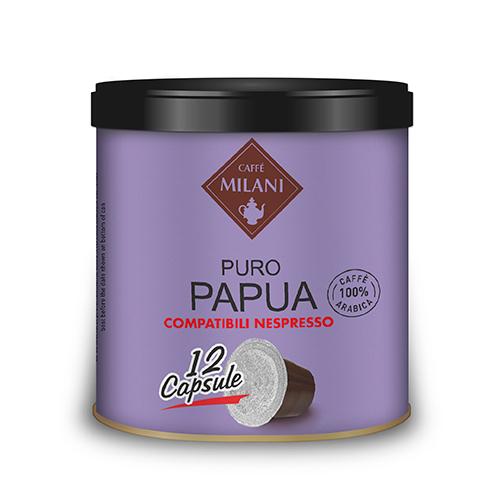 125 g coffee tin. 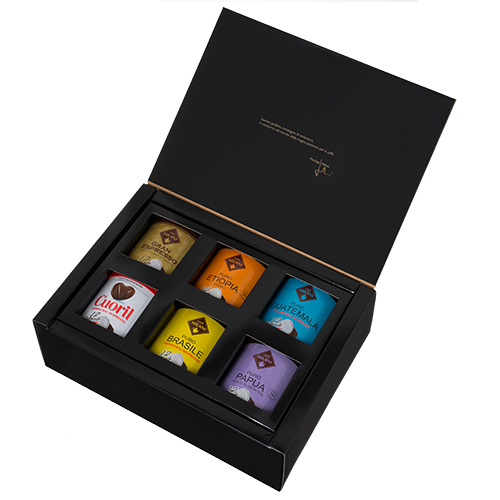 Gift box containing 5 single-origin ground coffee packs of 42 g – Brazil, Guatemala, Ethiopia, Papua, Portorico – and 1 Milani blend ground coffee of 42 g.
Gift box containing 4 single-origin coffee 12 capsules cans – Brazil, Guatemala, Ethiopia, Papua – 1 Milani blend coffee 12 capsules can and 1 Cuoril 12 decaffeinated capsules can. 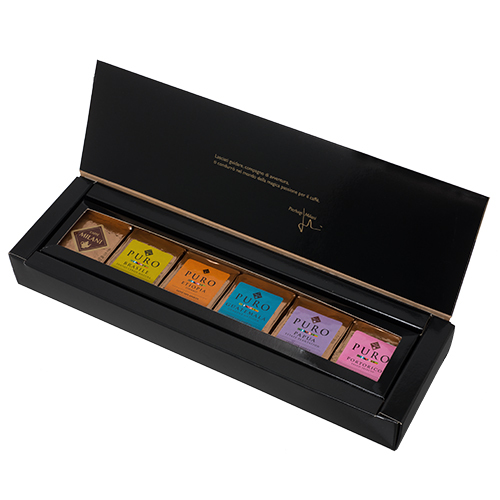 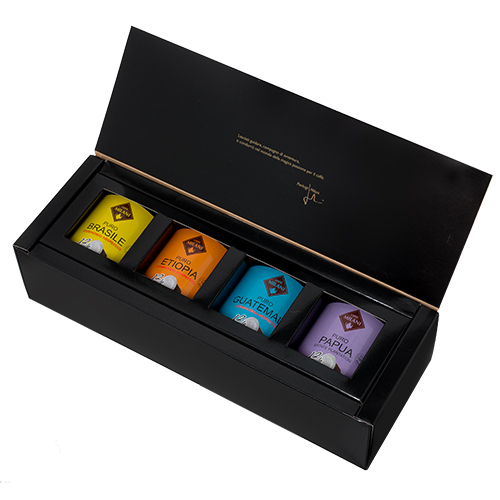 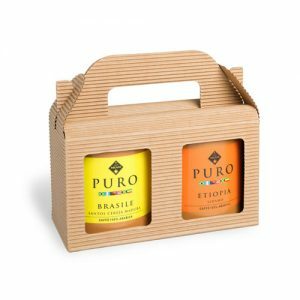 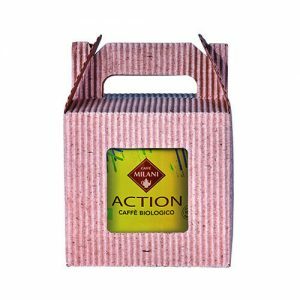 Gift box containing 4 single-origin coffee 12 capsules cans – Brazil, Guatemala, Ethiopia, Papua. 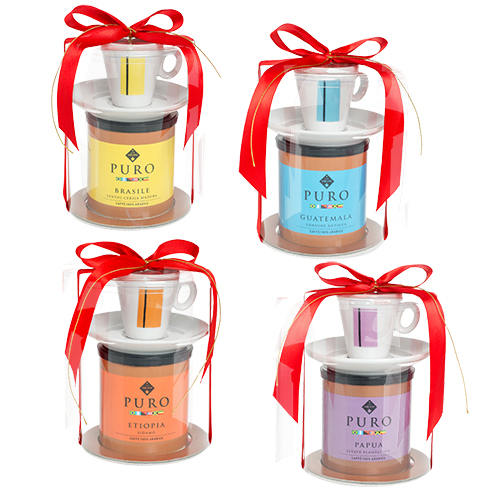 Gift box contains a 125 g ground coffee Puro can and a white porcelain cup and saucer painted with graphic signs using the colors of the country of origin.